Currently holds 480+ IMEHA points in OF Halter. Akecheta is a gorgeous purebred stallion with 100% Spanish Mustang blood. Very beautiful bloodlines! Akecheta was sired by Black Arrow, a son of Bandit and grandson of San Domingo, the stallion that Margurite Henry based her book 'San Domingo, Medicine Hat Stallion' on. Black Arrow is out of Pocohontas, a daughter of Straigt Arrow, whose lines trace to the early Spanish Mustang stallion Monty. Akecheta's dam is the roan mare Blue Northern. Her paternal grandsire Chief Pushmataha was quite influential in Spanish Mustang Breeding. In fact, Blue Northern's maternal grandsire was Majuba, one of Chief Pushmataha's own sons. Furthermore, Blue Northern carries several lines to Monty, and lastly, she carries a line to the Bookcliff mare Blue Corn, from whom the roan gene got passed on through the generations. Akecheta is an absolutely stunning stallion and a great choice to breed your Spanish Mustangs from. Available for breeding 1999 - present to all breed mares. Sulphur's Wahkan is a gorgeous purebred Suphur Springs Mustang, one of the very few in fact. Great build with tough body and a beautiful head. On top of that he is a rare dunalino, carrying both the cream and the dun gene. Wahkan's sire is SFC Sulphur's Fire, a gorgeous pure Sulphur Springs Mustang stallion with multiple champion titles in photoshowing. He is by Sulphur's Santiago, a grullo stallion. His parentage is unknown, and so is that of Sulphur's Malaya, as they were both rangebred. Wahkan's dam is SFC Sulphur's Fury, a grulla mare by Sulphur Corderio Riscado, who is a son of Sulphur's Corderio Cruz. Sulphur's Fury's dam, Sulphur's Tehya, was rangebred as well. Although we do not know much about Wahkan's parentage beyond the second generation, we definitely do know that Wahkan is an amazing stallion who would be a great sire. With him in our program, we hope to promote Sulphur Springs Mustangs, as they are quite a rare breed. 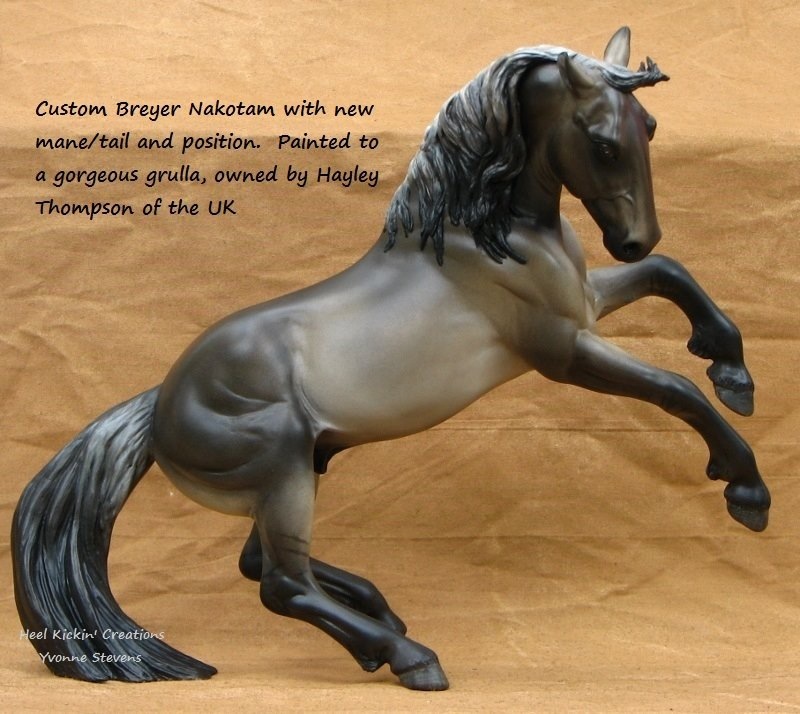 Available for breeding 2012 - present, to all breed mares. BSO is acceptable.